Square shower trays perfectly complement square shower enclosures creating a sleek and stylish showering area. From slim designs, which blend beautifully together, to heavy duty trays in a variety of colours; black, red, white, grey, blue and green there really is something for every bathroom. 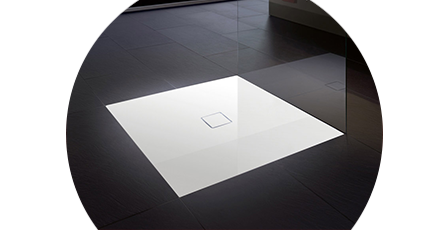 Square shower trays have the benefit of being very versatile when it comes to placement. Available in a range of sizes, they can fit most bathrooms easily and their squared shape makes them perfect for anywhere in the bathroom or wet room. You can also reduce the risk of slipping with anti-slip options for additional peace of mind. Due to their compact design, a square shower tray is ideal for smaller bathrooms as there are options available which won't take up too much space. Choose from a long list of materials including steel, stone resin and acrylic. First class product. Fitted easily. Well packed.